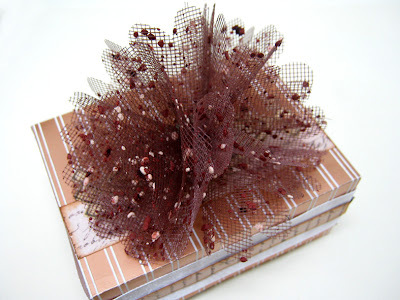 I'm so excited to be a part of another Sizzix blog hop. This time I was asked to create a project using Eileen hull's new 3D flower die. I had a lot of fun playing with this die and trying different possibilities. To view the hop, you can click on the Fresh Vintage blinkie on the sidebar. This will take you around to all of the designers on the hop. You can see projects that have already been posted here. This die is versatile you can create flat layered flowers for layouts, journals or cards or build a 3D flower to embellish boxes, canvases and home décor projects. 1. Cut two sizes of 3D flower die from patterned paper. 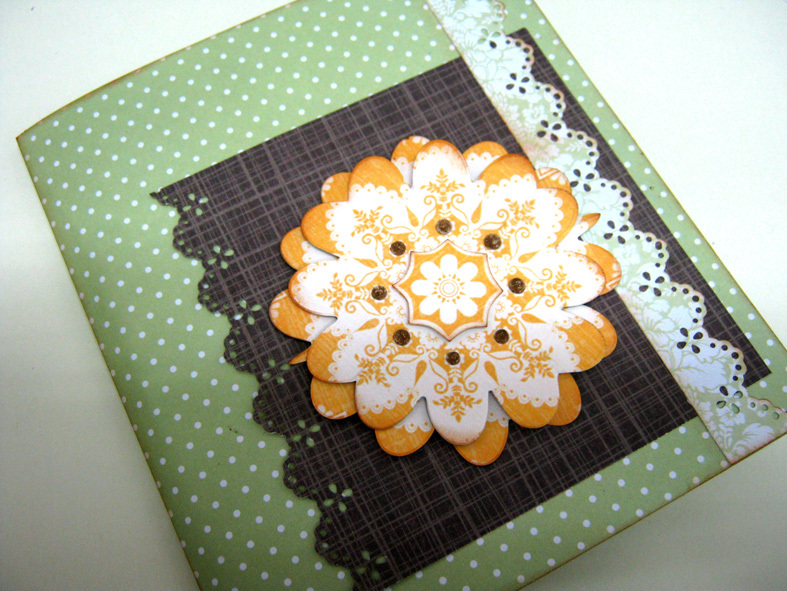 I used a paper with a floral pattern from Grant Studios. The die has one size, so in order to change the flower size cut a smaller piece of paper and positions it with in the center of the die. 2. 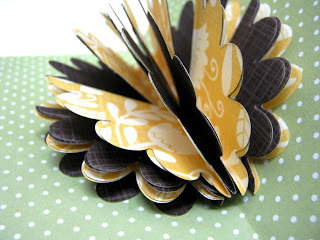 Layer the flowers and adhere with foam tape. 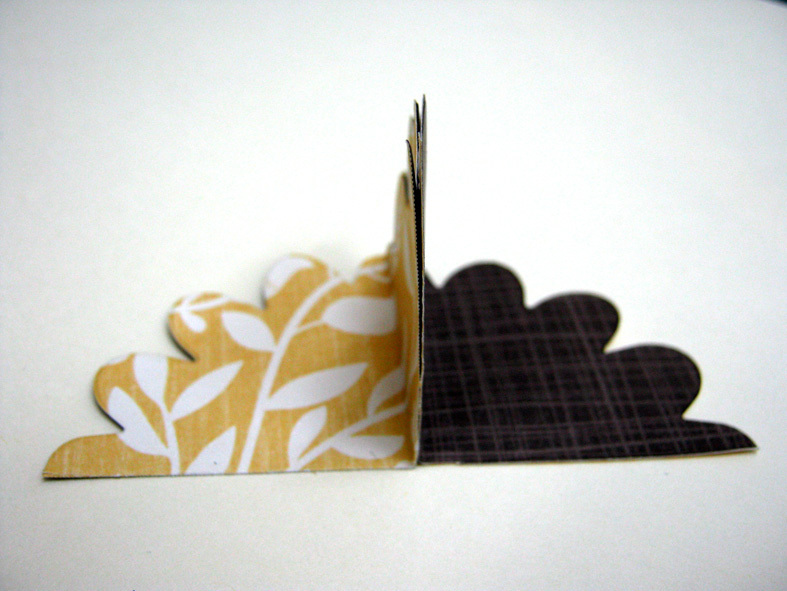 Inside the card I created a pop up 3D flower. 1. Cut eight 3D flowers. Cut each flower in half so you will have 16 halves. Divide to two groups of eight. 2. Adhere two halves to each other. Add the other six halves in the same way. 3. Repeat with the other group of eight halves. 4. Adhere the two parts of the flower to the inside of a card. Make sure to put adhesive only on the first and last flaps. I decided to experiment with another material besides paper. 1. 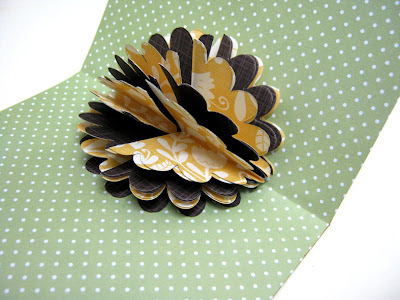 Cut five 3D flower die from Mesh. Each flower will be one petal in the final flower. 2. While they are folded string the flowers together using a needle and thread. 3. Distribute the flowers evenly. Adhere to the top of a box. For a chance to win a Sizzix die leave a comment on Eileen Hull's blog. Make sure to stop by on Nov 3rd for another great new die! איזה יופי! תודה רבה על ההדרכה. 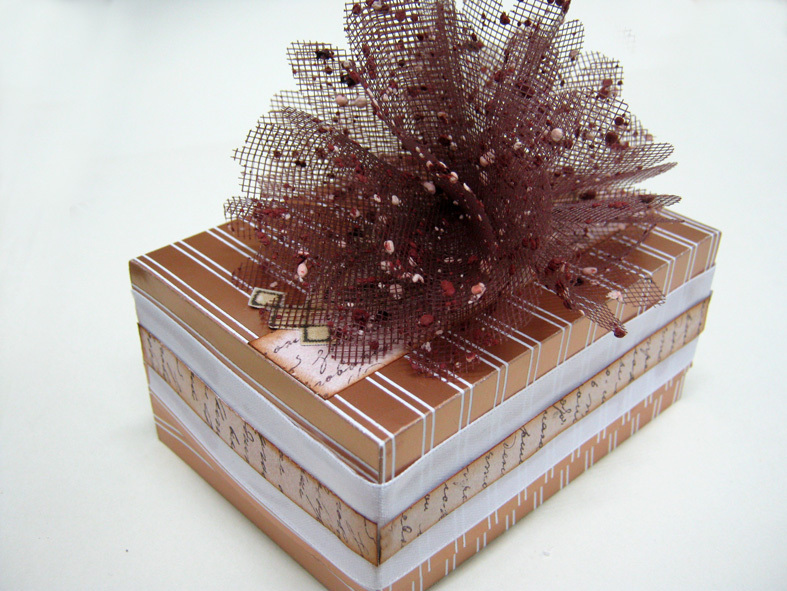 Einat, these projects are just beautiful! A pop up card- who knew! 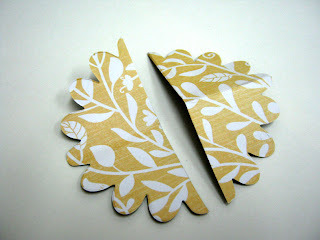 Love it :-) So glad you were able to create with the die- I knew it would be special. Thank you! Love pop up cards. Yours is very nice. Thanks for sharing, Johanne L.
I love interactive, the pop up is great. And the mesh is outstanding. Einat! You know what I'm going to say . . . that Pop-Up rocks my socks! Love it! Your projects are gorgeous! 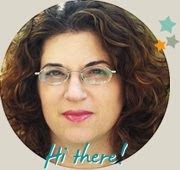 Wow, Einat, I love the pop-up flowr. Such a great idea. 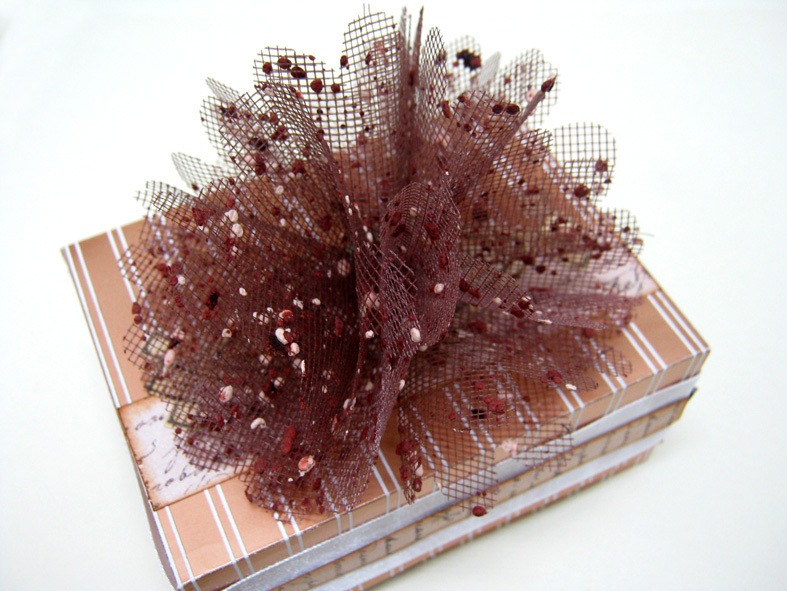 But I also love the mesh flower too. So unique and beautiful! Such beautiful ideas. How inventive to make the die into a pop-up card! I really love the Lego birthday cards, thanks for sharing the details on how you created them You can get more patern about Wholesale Pop-Up Cards in our website : http://popupcard.net. I can see their samples around my town and many markets.